On Patreon. For as little as a dollar a month you can help me create my art, music, shows healing work and witchcraft work (only good all the time). Help me realize my vision without having to get a day job which will take me away from my work. You will receive an interesting gift or more! Take a look! We are so pleased to be you THIS YEAR. Our students get noticed and get into shows, films and special programs throughout NYC. We are delighted to know that you have decided for yourself that music and singing is a serious study and are happy you have chosen our school to work on that with us. Our teachers are very excited to begin the new year! Classes and lessons start in September and go on through July. Please look carefully at the calendar of class schedule up on the site here. We do take breaks for holidays. Also, if you are participating in classes please note the dates of performances and rehearsals. These are separate from the regular schedule. All lessons meet at Christs Church in Bay Ridge on Ridge Blvd and 73rd Street in Brooklyn on specific days or at Yeoryia Studios 2067 Broadway, Manhattan. We offer in home and skype private lessons as well. Lessons and classes are billed monthly. All Tuition is due by the 1st of the month. Late payment (after the 10th of the month) will incur a late fee of $25.00. You will be billed on the last week of the previous month. You will receive an email invoice with a link taking you to our Pay Pal account where you can pay online through your bank or use a credit or debit card there or we also take checks or cash for payment. Please remind us to send you a receipt if you choose to pay with cash. We would love to offer you the convenience of keeping a credit card on file with us to have us use monthly. If you are interested please let us know. IF you do not use Pay Pal but prefer checks and cash, please let us know and we will send a different type of invoice for you to use. Private Lessons Adults only lessons no class $75.00 per hour. There is no discount for this choice. Lessons will be scheduled based on studio availability. This does not include participation in shows. If you choose to sign up for a 12-month course some payment options and discounts are available. Please discuss this with us. Private Audition Coaching is a 4-hour intensive for $250.00 this includes acting and singing work. There are no class performances. This is for both professional singers/actors and those auditioning for Junior High School, High School or College Programs requiring an audition. Piano Lessons: By appointment for the beginner. $30 per half hour. Guitar Lessons: We can recommend several great teachers in the area!! $50 per hour by appointment for any of our registered students. These services are available to our students and their families at greatly reduced rates. An appointment is necessary. If you are interested please ask. On top of tuition, you may be responsible for additional expenses associated with our services. If you lose your job or have other financial issues please discuss different payment options with us. In an emergency (teacher illness, dangerous weather conditions, etc.) You will be notified that the class or lesson will be canceled. The studio will endeavor to make up this time during one of the times there are no lessons scheduled during the year. We will contact you with the date and time as soon as is possible. There may be times when a substitute teacher is at your class or lesson. You will be notified ahead of time. There are NO make-ups for classes. There are NO make-ups for lessons. Teachers are not required to make up a lesson missed by the student for any reason. Skype lessons are available if there is a problem with leaving the house. Please note that we are closed on all major holidays and other days as well! Please be sure to check your calendar! If a member of your family damages the property or equipment, out of respect for what we are trying to do, please offer to make it right. We are friends here! There is very little risk involved with music and theater; however, we know that people have accidents and bad things can happen. Please understand that we work hard to plan all our events so that everyone is as safe as possible. Please be sure you are doing your part for yourself. Dress appropriately for rehearsal and classes. We’re sorry to see you go! Give word to your instructor. Prepaid tuition is non-refundable. IF we are closing the studio for any reason we will text and email you. We are happy to friend you on Facebook, Twitter, and Instagram. Please remember that teachers have personal lives and some may not want to friend students. We have a Facebook group where all members can talk and get notices or information regarding performances to spread on the internet for their friends and family. We DO NOT TEACH MINORS. We promise to treat its students and families with care and respect. We will always give you our best when it comes to instruction. We will always return your call or email or texts in a timely and professional manner. We will always treat your children with respect and dignity. We will always be on time. We will always listen when you have a concern, and try our best to solve the problem. We will always be there for any student for any reason. Be on time for all scheduled lessons, classes, practices, and performances. Do your best to schedule appointments, keeping in mind your or your child’s classes, practices, and performances. Let us know if you see a way we can improve our services. We want to be our best! If we see a way to make it happen, it will. Respect for each other and our space. What an amazing line up it is. We are offering several classes and short weekend intensives this year 2018-2019 semester. Each class will be 6 intensive study sessions each three hours long with Mary Elizabeth Micari and Mason Griffin in one of the nicest studios in Manhattan! We will cover the composers, the era, the diction, tone, vocal production, breathing, acting, character creation and MORE!!!! AND THERE IS A SHOW each time! Each class will cover a decade from the 20th century. Students can choose to do standards, jazz, pop, classical or Broadway songs from those times. This class is ideal for those putting together a nightclub act, a show or just preparing for auditions! 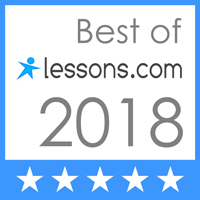 We have and will continue to keep our prices low so that you can add this wonderful experience to your learning arsenal. There is financial aid available to those that qualify. The M Center for the Arts inaugurates the Bay Ridge Vocal Academy with a rare retelling of A Christmas Carol – based on the 1938 radio play presented by Orson Welles and the Mercury Theater On-the-Air. This rendition will be set when it first was presented – in 1938 – complete with period costumes and special sound effects. This holiday presentation is a benefit for Christ Church and proceeds go to the Church. Refreshments will be served. Tickets are $20 ($10 for seniors and children under 12).